THOUGHTSKOTO Thoughtskoto : National ID System and Sim card Registration: Will it really curb crimes? National Identification (ID) System and Sim card Registration. Will it really help prevent crimes in the community? This is the claims of the proponent of the two out-dated bills in the Congress but until now, fails to pass into law. 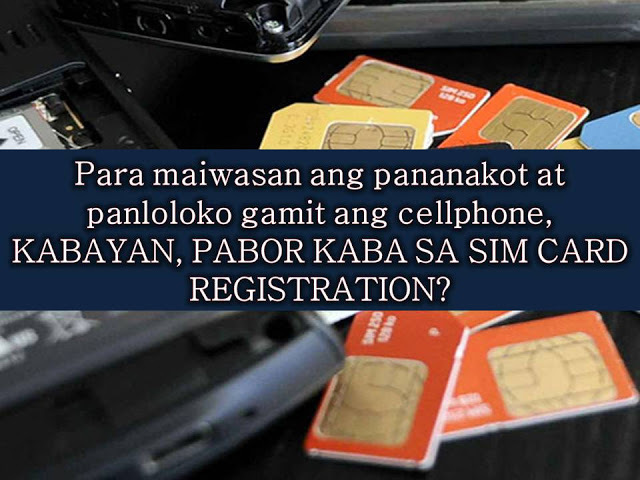 The proposal to have a nationwide mandatory registration of prepaid subscriber identification module (SIM) cards is being pushed in the Senate to address mobile-related crimes. Senate bill number 7 or the Sim Card Registration Act of 2016 seeks to "eradicate mobile phone-aided terrorism and criminal activities" by registering all prepaid SIMs and limiting each person to own only up to three SIM cards "across all service providers." 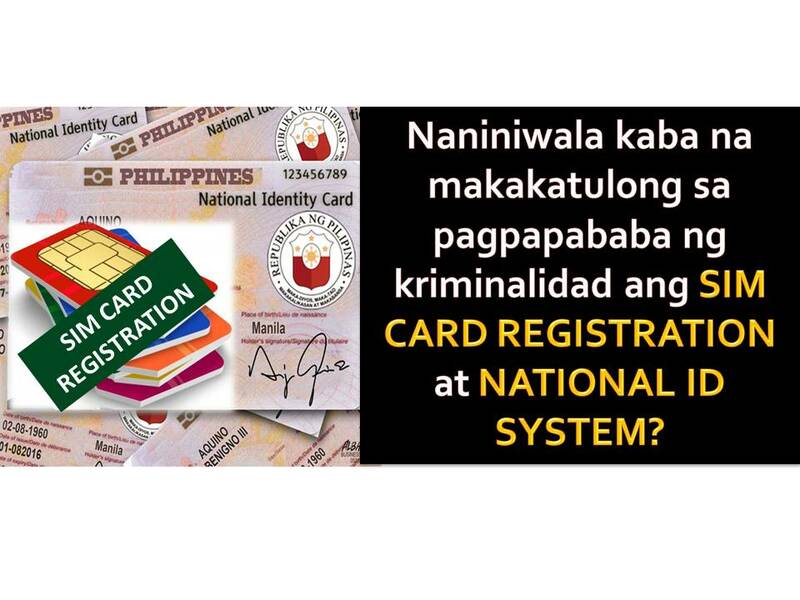 According to Senate President Koko Pimentel, that there are people who have criminal minds and abuse the non-registration and loose SIM card registration. One of the examples was the Davao City bombing where the bomb was allegedly detonated using a cellular phone. Should the bill be passed into law, a registered SIM card owner should be at least 15-years old. PNP-NCRPO director Chief Supt. Oscar Albayalde said, criminals often use sim card in making threats and if registered, this kind of activity will be traced. 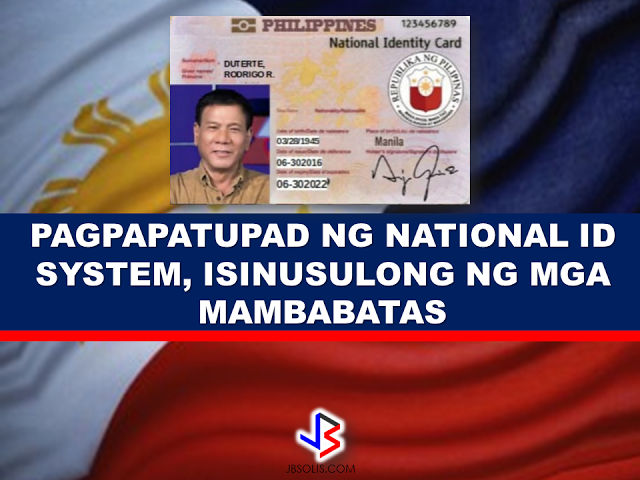 He is also in support of the National ID system as one strategy of preventing and solving criminality in the country. On the other hand, House Speaker and Davao del Norte Representative Pantaleon Alvarez believes that the proposed National Identification system can be of great help in curbing criminality under the Duterte administration. Alvares said national ID system can fast-track the solution of crimes.